In high demand as a teacher and role model for emerging-nation navies, the U.S. Coast Guard also is working with the former Soviet Union’s KGB Maritime Border Guards as it transitions to a more multimission organization. Mutually beneficial exchange efforts—from left, Russian Cadet Kiril Goussev, who will graduate from the U.S. Coast Guard Academy in 1997; Admiral Robert Kramek and his Russian counterpart, General-Colonel Andrey Nikolayev, sign a memorandum of understanding; General-Colonel Nikolayev during a recent visit to Governor’s Island, New York—could enhance cooperation from search and rescue to airfield access. The U.S. Coast Guard (USCG) is working with the former Soviet Union’s KGB Maritime Border Guards as it evolves into a more multimission, humanitarian organization. This cooperative transformation requires a significant effort and investment, because the Border Guards’ activities traditionally focused on keeping potential defectors within, and spies out of, the geographic confines of the Soviet Union. Since the breakup of the Soviet Union, the Maritime Border Guards have undergone at least three organizational and name changes and now are known as the Russian Federal Border Service (RFBS), operating under its own independent ministry. Its current missions include: maritime law enforcement, defense readiness, search-and-rescue (SAR) support, counterintelligence, and counterterrorism. 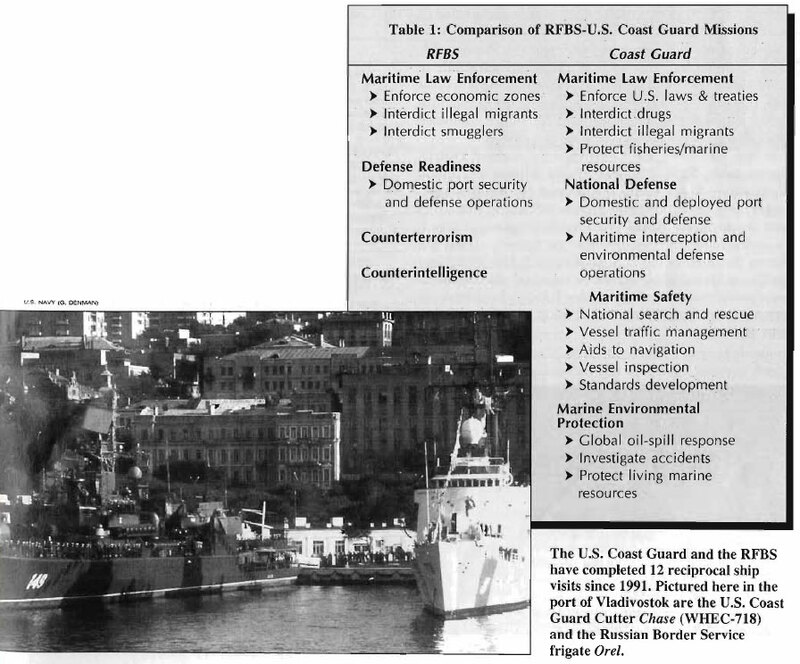 Table 1 gives a comparison of the RFBS’s and U.S. Coast Guard’s missions. The RFBS supports SAR with personnel, ships, and aircraft, but it does not yet have primary responsibility for this mission. SAR is managed by a ministry in Moscow and is handled by the Far Eastern Shipping Company. Unlike the situation in the United States, there are no recreational boats along Russia’s coastline to require services. The Far Eastern Shipping Company coordinates merchant-fleet SAR and dispatches tug resources as required. Fishing vessels are tracked by the fisheries companies, who direct other fishing vessels to assist any in distress. In addition to ship visits, service leaders also have exchanged visits. 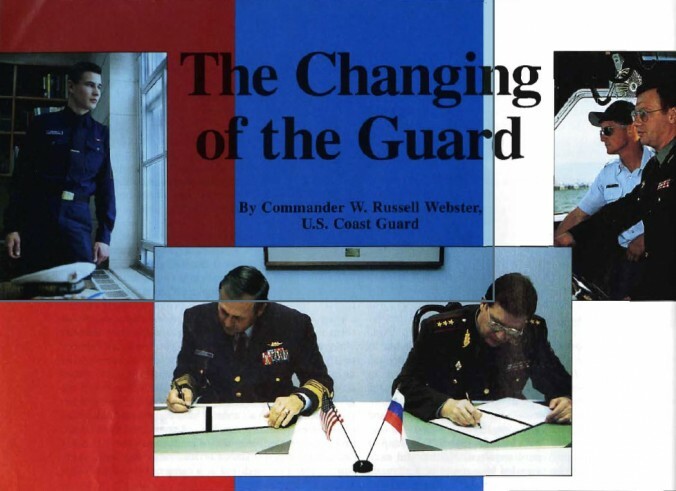 RFBS Director General-Colonel Nikolayev and his delegation visited USCG Headquarters in Washington, D.C.; the Coast Guard Atlantic Area at Governor’s Island, New York; the USCG Reserve Training Center at Yorktown, Virginia; and the Coast Guard Academy at New London, Connecticut from 14-21 October 1995. Admiral Kramek and his staff visited Russia in early November 1994 and met with General Nikolayev to discuss future joint initiatives. As a direct outgrowth of Admiral Kramek’s visit, the Coast Guard offered the Russians exchange of information opportunities in maritime law enforcement training and operations. In August 1995, the State Department sponsored a USCG Maritime Law Enforcement Mobile Team, which discussed international law, boarding procedures, communications and control techniques, detection of hidden compartments, and drug identification with their Russian counterparts. Other events arising from this visit included the recent attendance and graduation of an RFBS officer from the Reserve Training Center’s International Maritime Officer Course and an informational visit by four RFBS officers to the North Pacific Regional Fisheries Training Center in Kodiak, Alaska. In addition, the U.S. Coast Guard Academy is hosting a full-time Russian student, Kiril Goussev, who is scheduled to graduate with the class of 1997. Cadet Goussev sailed on board the USCG’s training Barque Eagle for his summer cruise in June 1994 and completed his second summer program studies with the RFBS in Russia. The Coast Guard and RFBS also are exploring opportunities in 1996 for Coast Guard personnel to visit RFBS training institutions 5 and are considering an exchange of cadets during the summer, similar to the Coast Guard’s successful program with the Japanese Maritime Safety Agency (JMSA). 6 Typically, the JMSA and the coast Guard exchange two or three cadets, who complete a tour of shore, aviation, afloat, and administrative commands and spend five days on the Eagle. In late July 1995, the Coast Guard’s Alaskan District Commander, Rear Admiral Ernest Riutta, expressed his gratitude to his RFBS counterpart for the Russians’ cooperation in two difficult search-and-rescue cases: “In each instance, the RFBS provided helicopters to search for individuals reported overdue on transits across the Bering Strait from the U.S. to Russia.” 9 The RFBS and the Coast Guard have agreed to continue this cooperative operational relationship, share SAR and fisheries information, as appropriate, and develop joint communications procedures. Along with the prospect of increased fisheries enforcement and SAR cooperation , the growing relationship with the RFBS may open the door for Coast Guard use of airports in eastern Russia. The Coast Guard historically has operated its long-range C-130 aircraft from Alaskan airfields at Naval Air Station Adak and from an Air Force facility at Shemya, at the far western end of the Aleutian chain. 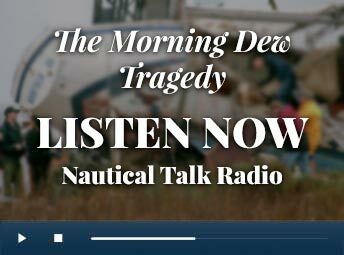 But recent DoD initiatives have reduced the Coast Guard’s opportunities to use these facilities and made them more expensive because of civilian contracting costs. Despite a myriad of red tape and other difficulties, Petropavlovsk’s airfield has been used successfully by U.S. commercial airlines on a number of occasions. Some Alaska Airlines flight crews have been denied entry into Russian airports, while others have been delayed while waiting for clearances or the arrival of a Russian navigator. 10 In short, the “typical” Russian airport experience could be lengthy, frustrating, and potentially disastrous for a Coast Guard flight crew who needed to gas-and-go during emergent operational conditions like SAR. Coast Guard and RFBS officials are continuing their dialogue to iron out the logistical problems that now preclude the use of Russian airfields as weather or fuel alternates during Coast Guard operations in the western Bering Sea.